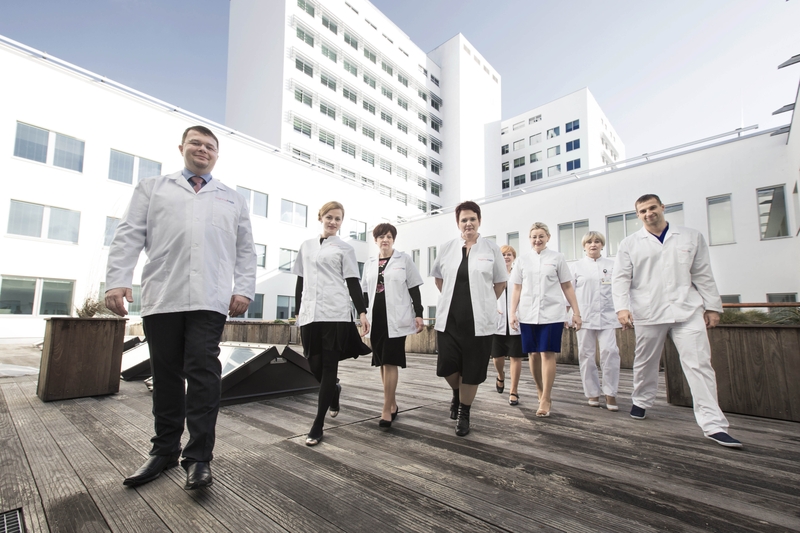 The North Estonia Medical Centre is one of the top health care providers in the country. A patient-centred institution committed to professionalism, innovation and teamwork, the Medical Centre has more than 3,800 people – doctors, nurses, caregivers and specialists – working for the good of patients. Over 500 of them are doctors and at any given time, 100 medical residents are also based at the hospital. The hospital consists of seven clinics and 32 specialist centres. Similarly to European university hospitals, the North Estonia Medical Centre offers medical care in all specialist fields other than ophthalmology and obstetrics. Each year, around 135,000 patients receive specialist medical care at the North Estonia Medical Centre. A total of 36,000 of them are assigned to the hospital’s 1,200 beds. In 2012, 72,000 surgical procedures and operations were performed at the North Estonia Medical Centre. The North Estonia Medical Centre was established on 25 July 2001 by decision of the Government of the Republic through a merger of Mustamäe Hospital, Kivimäe Hospital, the Estonian Oncology Centre, Tallinn Psychiatric Hospital, Tallinn Dermatology Hospital, the Family Medical Counselling Centre and the Occupational Diseases Clinic.